The day after Facebook went public, ending the day with a market capitalization of $104.81 Billion, the founder and CEO effectuated a major merger and acquisition. So to speak. Mark Zuckerberg married his longtime girlfriend, Priscilla Chan, in a surprise private wedding at his home in Palo Alto California on Saturday. You can check out Zuckerbergâ€™s personal page on Facebook, where the photo above was taken from. I’m sure that there will be a lot more news coming soon. And soon is now! According to Mashable, Zuckerberg placed a ring, which he designed, on his wifeâ€™s finger during the ceremony. The ring was described as featuring a “very simple ruby.” The Associated Press reports that “The ceremony took place in Zuckerberg’s backyard before fewer than 100 guests, who all thought they were there to celebrate Chan’s graduation.” Surprise! No word about Rabbis or anything like that (Zuckerberg is Jewish). Why should I care about the marriage of a JINO who selectively censors who uses his site by allowing Holocaust-denial and terror-supporting groups to function with impunity while banning pro-Israel, pro-Jewish groups arbitrarily? Hmmm, can you provide examples of the above? I’m curious. yes please some example now.. i am curious as well. Half a century ago, 6.5 millions Jews were murdered here in Europe. Today, Jewlicious celebrates conscientiously the extinction of the Jewish community in US. It so easy to drop blog entries but when dealing with memory of 6.000.000=1+1+1+1+1+1+1+1+1+1+1+1+1+1+1…………. humans like you, it’s big headed and daft to act like you do. it’s science. since jwes don’t have a lot of genetic diversity, they need to marry people from other ethnic backgrounds in order to increase genetic diversity. understand? One we are adults we assess what we have been taught at home. Some of us embrace the values but not the categorization: Catholic, Muslim, Jewish etc. We also look at the subsets: orthodox, moderate, reform. Then we find our way and that is what we embrace. 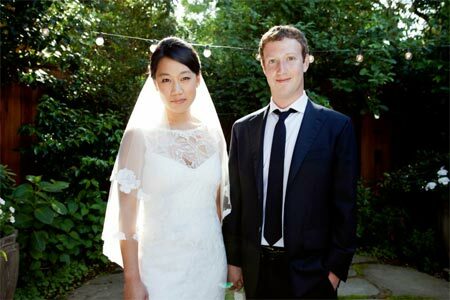 Although I don’t know Mark Zukerberg or his wife, Priscilla Chan, I wish them a long, happy life together.